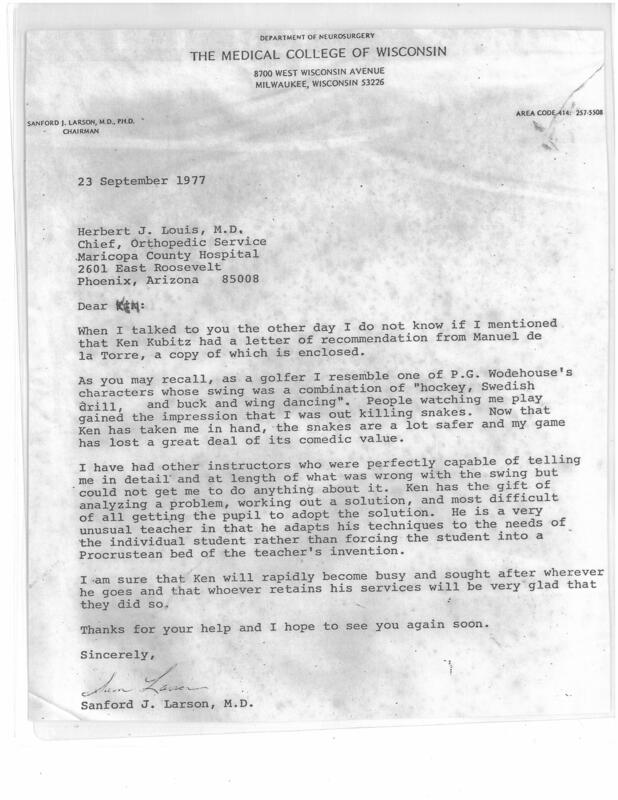 Along with the letter from Manual above, a here is letter from Dr. Louis, also certifying to my capabilities . This is to certify that Mr. Kenneth Kubitz was a member of my Golf Shop Staff at the Milwaukee Country Club. 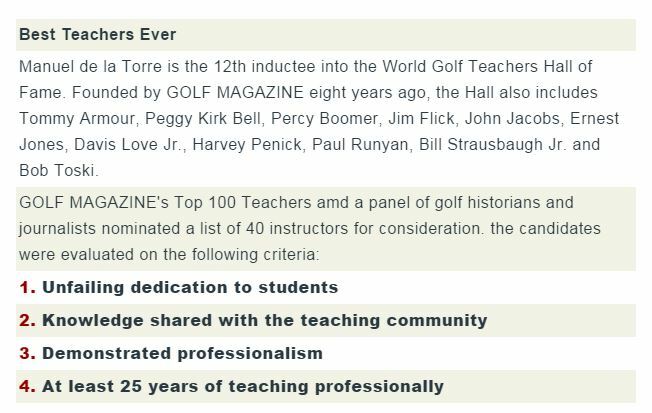 During this time he learned the principles of good teaching and at the present is engaged in instructing golf. He is a most dedicated person and is doing a most commendable job in this field. He is indeed a well needed addition to the instruction phase of the golf profession. I have seen correspondence written to him from past students expressing thanks for the improvement he has made in their golf, and I am certain that many others who have not written feel indebted to him. I am most confident that if you have the opportunity to use Mr. Kubitz’s services, you will not regret it. SANFORD J. LARSON, M.D. PH.D. 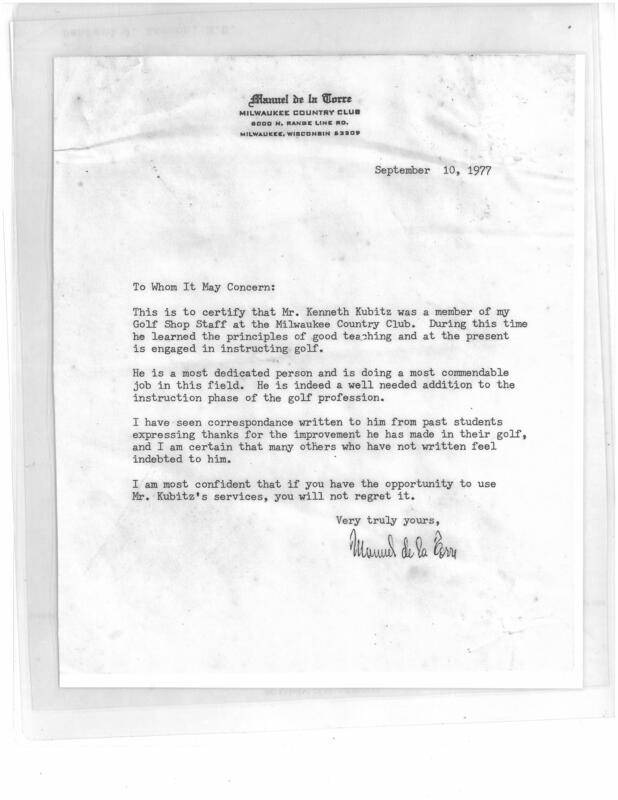 When I talked to you the other day I do not know if I mentioned that Ken Kubitz had a letter of recommendation from Manual de al Torre, a copy of which is enclosed. As you may recall, a a golfer I resemble one of P.G. Wodehouse’s characters whose swing was a combination of “hockey, Swedish drill, and buck and wing dancing”. People watching me play gained the impression that I was out killing snakes. Now that Ken has taken me in hand, the snakes are a lot safer and my game has lost a great deal of its comedic value. I have had other instructors who were perfectly capable of telling me in detail and at length of what was wrong with the swing but could not get me to do anything about it. Ken has the gift of analyzing a problem, working out a solution, and most difficult of all getting the pupil to adopt the solution. He is a very unusual teacher in that he adapts his techniques to the needs of the individual student rather than forcing the student into a Procrustean bed of the teacher’s invention. I am sure that Ken will rapidly become busy and sought after wherever he goes and that whoever retains his services will be very glad that they did so. Thank you for your help and I hope to see you again soon.